Today we travel to meet nomadic hosts. The Fars Province is famous for its nomadic people, and the barren landscape provides a stark contrast to the vibrancy and hospitality of its inhabitants. Migration is a way of life and herding cattle, sewing carpets and embroidery form the basis of these tribal economies. Join a group of local nomads and share a meal. A ‘house of hair’, made from goat and sheep fleece, is your accommodation for the night. This is your chance to observe the lifestyle of nomads as they herd their animals, tend to the fields and enjoy simple meals. Please note that due to conditions outside of our control there may be times when we are unable to visit or stay with the nomads. 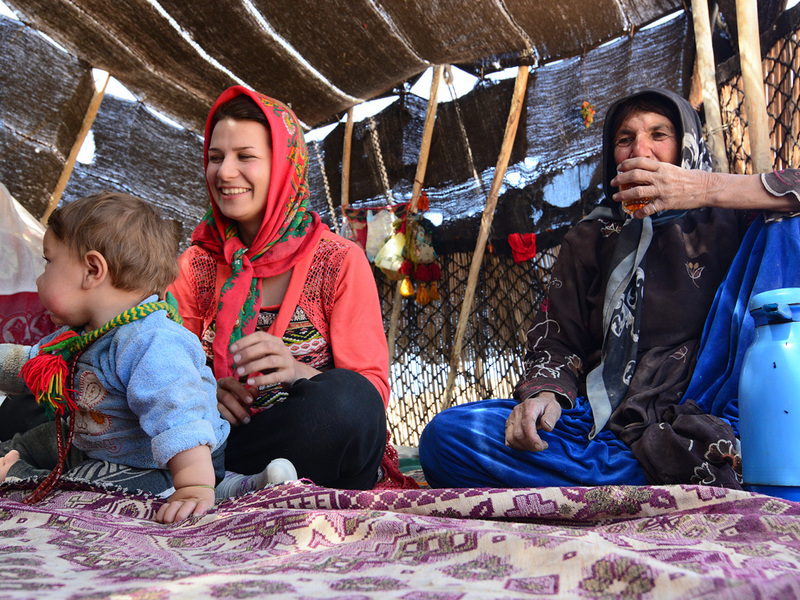 In this situation, we will stay with a local family in the Qashqai village. You will be treated to a delicious home-cooked meal and spend the night exchanging stories with your homestay hosts. Say farewell to your nomad hosts and journey towards the town of Eghlid. In ancient times Eghlid acted as the main gateway from the north to Persepolis as other routes were too mountainous and difficult to pass. Zoroastrianism, which dates back over 4,000 years, was the state religion of Iran before the arrival of Islam. Followers believe there is one God called Ahura Mazda (Wise Lord), and they worship communally in a Fire Temple or Agiary. The intriguing Towers of Silence are part of the Zoroastrian tradition. The towers are raised circular structures where the dead are laid out to be picked clean by scavenger birds. Afterward, we back to Shiraz.